It is always an exciting event to announce the arrival of a new or renovated apartment as we are proud of each one. 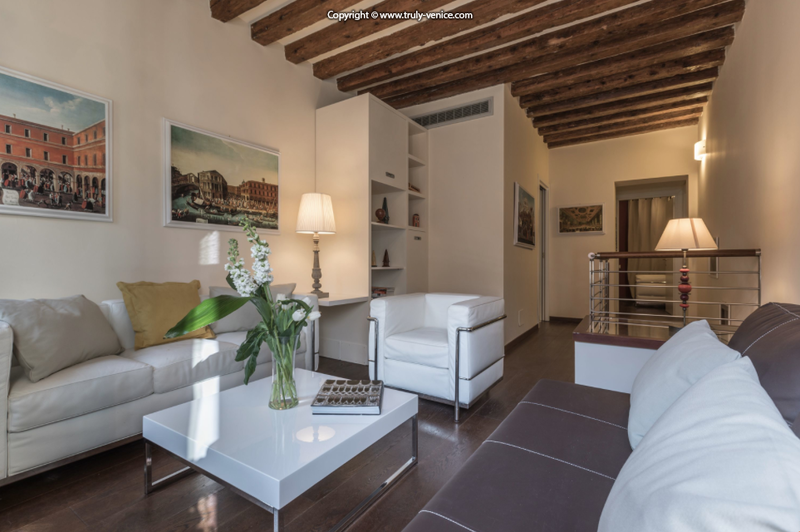 We take a long time searching for perfect apartments, that both suit our client’s needs and reflect the dynamic nature that is Venice. However, we sometimes take even longer playing with the smaller details that bring life to a new place. 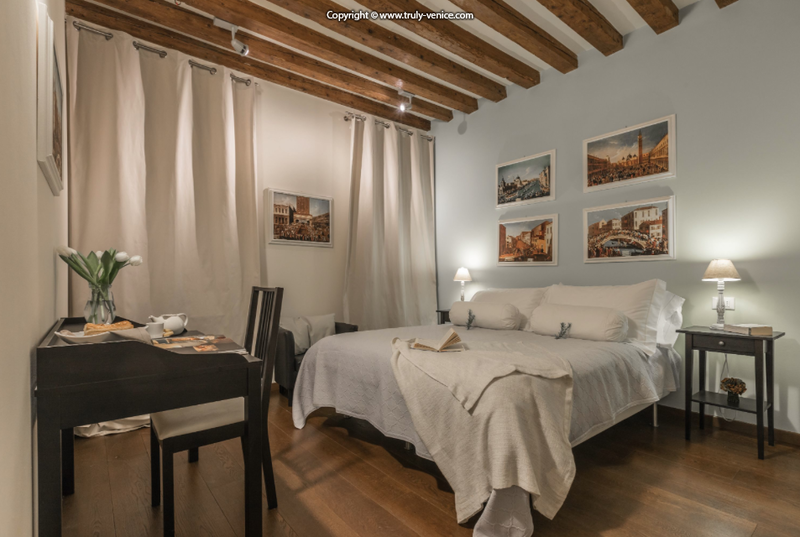 Each one of the Truly Venice apartments holds something different and could not be further from a hotel room experience. We invite you to look carefully and decide what it is that makes you feel at home when choosing from the collection. In this particular apartment, a greater emphasis is on art, comfort and enjoying the sounds of the water. The Art element is largely due to its prime location. 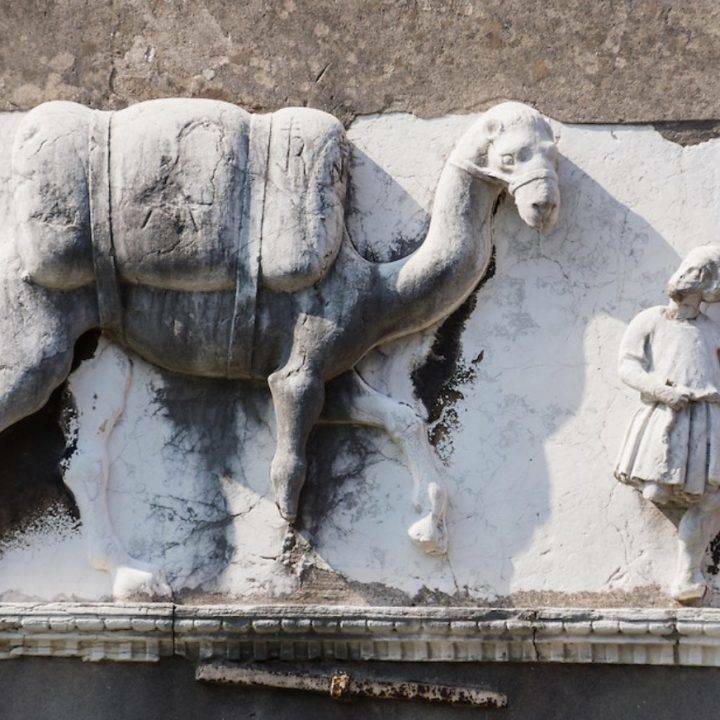 Situated in the Dorsoduro area, it is quickly becoming known as the Art District of Venice. All around you can find both modern and traditional galleries, both large and small where you will stumble across unique treasures. This is not to mention the 5-minute walk to two world-renowned art galleries, The Peggy Guggenheim and The Accademia. The comfort of the apartments, is always at the top of our priorities but we felt that this apartment has a softness and indulgence to it that surpasses many others. The King-Size master bed is one of those luxuries that makes Sunday mornings a wonderfully slow affair. As well as this, each bathroom is fitted with high-powered showers, and warming towel rails. The kitchen, which is located on the ground floor at the back of the house, therefore receiving less natural light, is however fully equipped with all the amenities you will need to feel at home, including washing machine and dish washer. 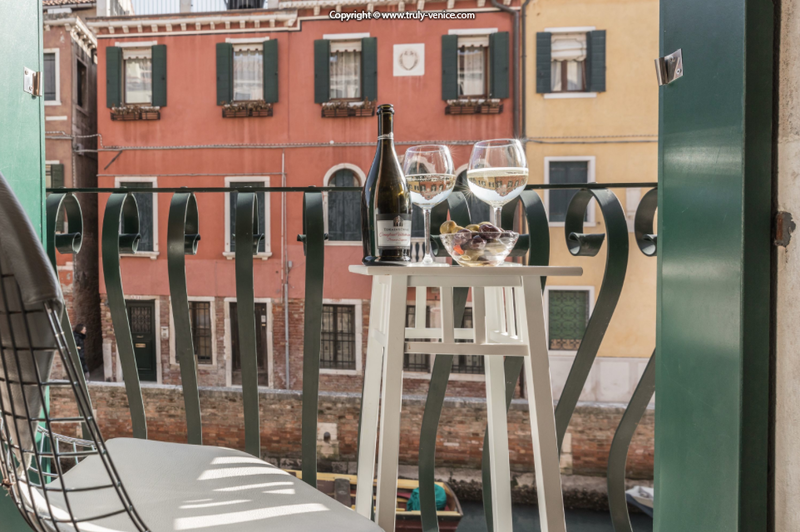 At last, and on a more practical note, the apartment is located just 1 minute from the Vaporetto stop and therefore makes it incredibly easy upon arrival and departure. The last, but most important element that makes this apartment stand apart is the simple sound, which can be enjoyed all throughout the day. 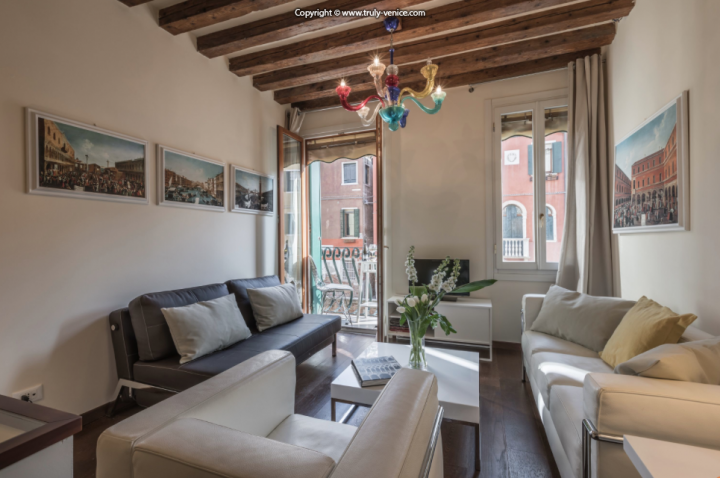 The living room, situated on the second floor, has an intimate balcony that overlooks one of the more peaceful canals in Venice. 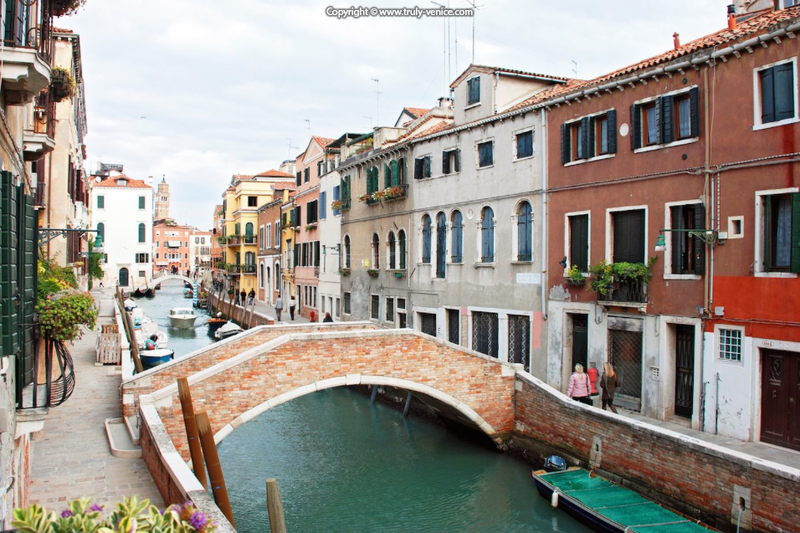 From here you can sit, with a coffee or a prosecco and observe the comings and goings of ordinary Venetian life. 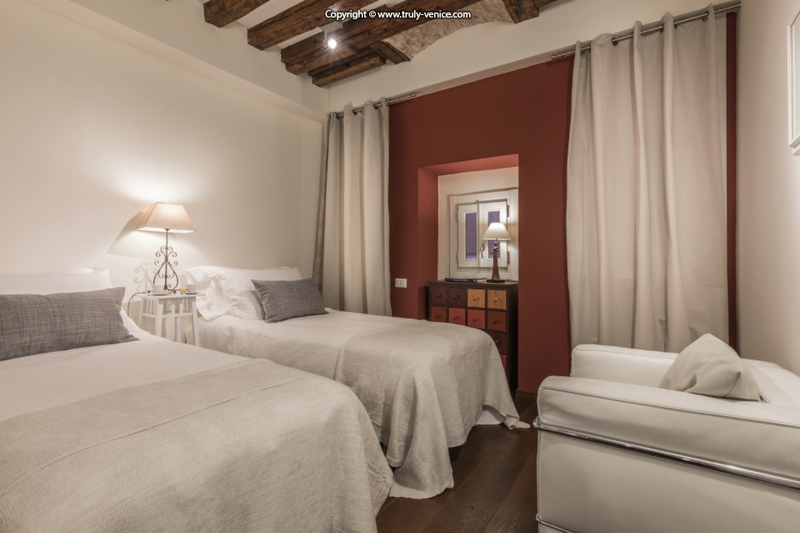 Throughout the day, this room will be flooded with natural light making it the perfect place to relax after adventurous days, or for aperitivos before a spectacular dinner. It has been designed tastefully in a minimalistic fashion with touches of colour and authentic decorations. 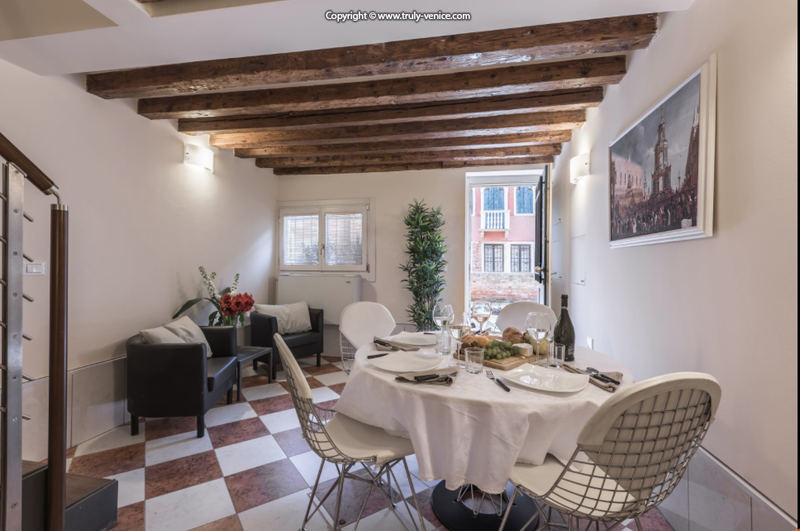 It is ideal for families or friends of 4-5 people, and we are confident in its charm to provide the perfect home away from home for when you are staying in Venice. 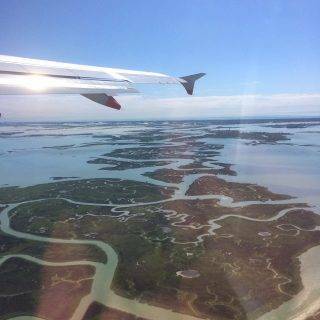 One final advantage of this ideal location is the vicinity to the Zattere and the Guidecca, these are both under appreciated locations for meandering (and maybe a glass of prosecco or an ice cream too). 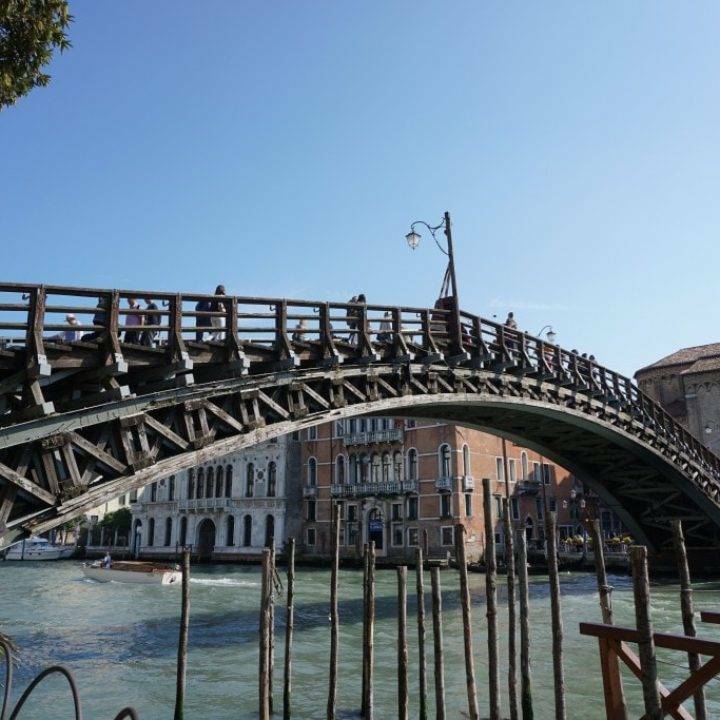 From here you can observe the most spectacular sunset, or if you really like take advantage of the fact that it is one of the few stretches of straight pavement in Venice to join the morning runners. For all further information and to book this apartment, find link here.